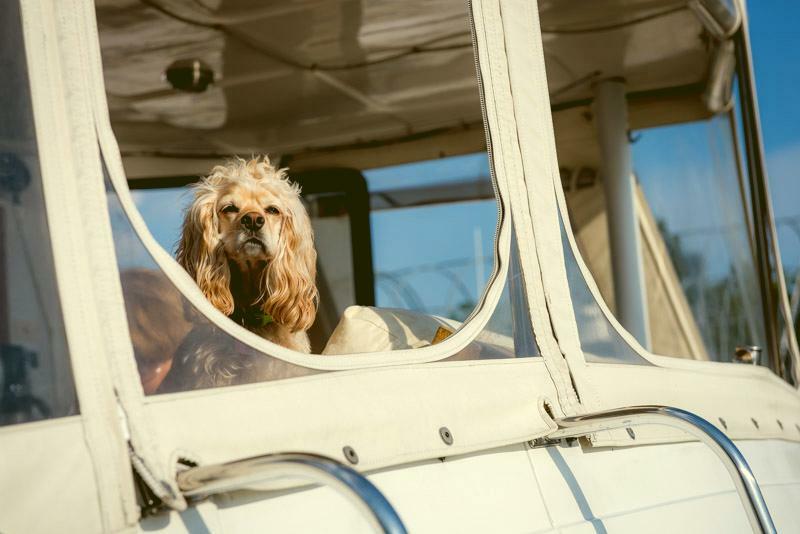 Looking to plan a trip and take your furry friend on a high sea adventure, but can’t find a marina? Fear not! 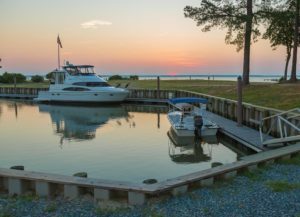 There are great marinas in the Chesapeake area you can visit and relax that will also let your four-legged sailor dock. Here is a list of the top five pet friendly marinas in the Maryland and Virginia areas! Horn Point Harbor is located in the beautiful Eastport section of Historic Downtown Annapolis. Just a short 10-minute walk from city center, Horn Point Harbor offers a quieter view of the open waters of Annapolis while still maintaining close proximity to all the action and excitement. Horn Point offers a beautiful courtyard just off the docks, perfect for BBQ’s, celebrations, and just hanging out with friends-furry friends included! Annapolis is an extremely dog-friendly town, with many accommodating stores providing water and treats, as well as dog specific celebrations throughout the year. This smaller marina has 56 slips from 30 to 70 feet, has an open bulkhead space perfect for catamarans, and can accommodate yachts exceeding 120 feet in length unlike any dock space in Annapolis! South Annapolis Yacht Centre is the oldest continuously operating marina in Annapolis. Founded in 1907, this yacht club offers 93 slips and can accommodate vessels up to 120 feet. Just upriver of the Spa Creek drawbridge, the docks are considered some of the most protected in the Annapolis area. A short walk to city dock and downtown historic Annapolis allows guests to access all the attractions Annapolis has to offer-as well as all the amenities of the marina. Annapolis is one of the friendliest dog areas in Maryland, so make sure you bring your dogs when visiting this coastal maritime town! 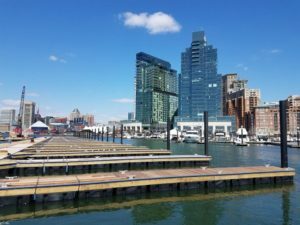 This beautiful marina resides in the heart of Downtown Baltimore. Marina guests can easily walk to the best of Baltimore:-the Inner Harbor, Fell’s Point, and Little Italy. A quick cab ride away can bring any sport fanatic to M&T Bank Stadium and Camden Yards for football and baseball games! This large marina can accommodate 184 slips with 500ft of alongside dockage, full of friendly faces and friendly pups. This pet friendly dock is perfect for a city trip with your best friend-just ask Gracie! Gracie the German shepherd seasing the day! This upscale Marina is a gem along the Chesapeake! Set in the quiet town of Solomons, MD, Spring Cove Marina has been exceptionally serving guests and their pets since the mid 1960’s. Spring Cove is family oriented, and perfect for a full service outing for any group of friends or families looking for a nice stay, and you won’t even need to worry about boarding your pet someplace! Spring Cove has specified dog-walking areas with clean up bags provided so your furry friends will also have all the comfort they need. With the town nearby and boat yard services in proximity to the docks, guests will have everything they need for a wonderful stay. The Northern Neck of Virginia is one of the best-kept secrets of the Potomac! This lightly developed area offers beautiful and quiet beachfront properties, as well as the best resort marina with campgrounds. The marina is in proximity to Washington, D.C., Baltimore, and Annapolis for boaters looking to sail up the Bay. The private beaches and cottage properties let kids enjoy the water, and allow for pets to roam free and have fun. Ample space is available for picnics and gatherings as well. Coles Point Marina offers covered and uncovered slips, easy access launch sites, and boatyard services. This marina really is a one-stop shop for all your summer fun time needs! Special thanks to our very own Snag Adventurer Heather for helping us compile a list of the very best marinas for her own trips with her puppy! Also visit marinalife.com for more great marinas in the Chesapeake Bay.